In spite all this drama, the budget approved has a deficit of at least $934,000, from additional funding of the priests pension plan and the School of Theology. A face safe vote that passed authorizes the executive committee and the Archdiocesan Council to find ways to balance the budget. 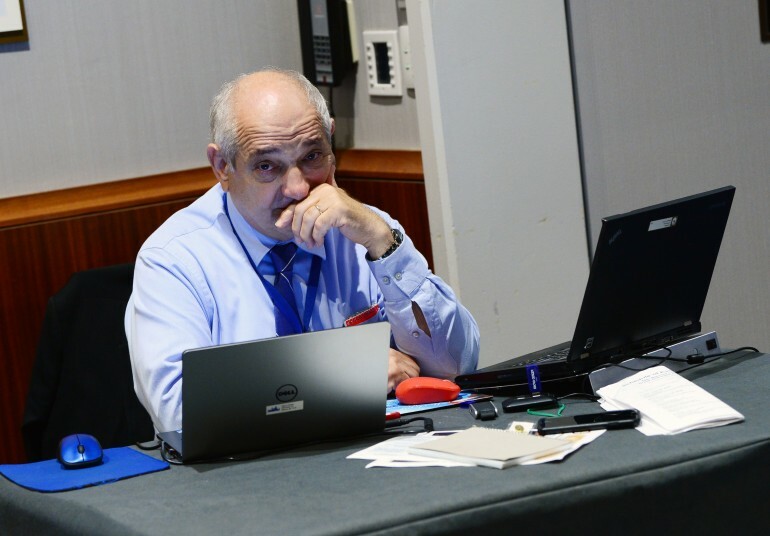 The next Archdiocesan Council meeting will be in October, most likely without the Treasurer Michael Psaros. 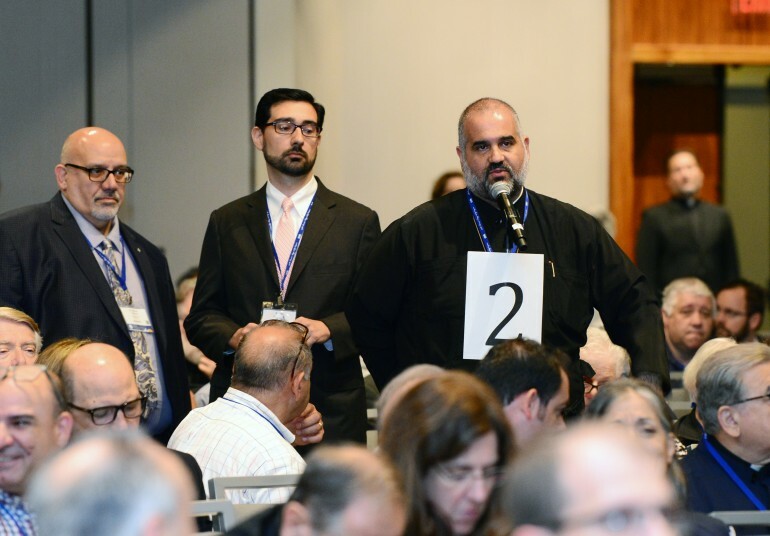 Prior the final vote, the plenary has decided to take off the budget the publication of the Orthodox Observer, under the presumption that by doing that $800,000 will be saved. The true amount is the savings will be $360,000 if the Observer shuts totally and 200,000 if it will continue the publication on line. 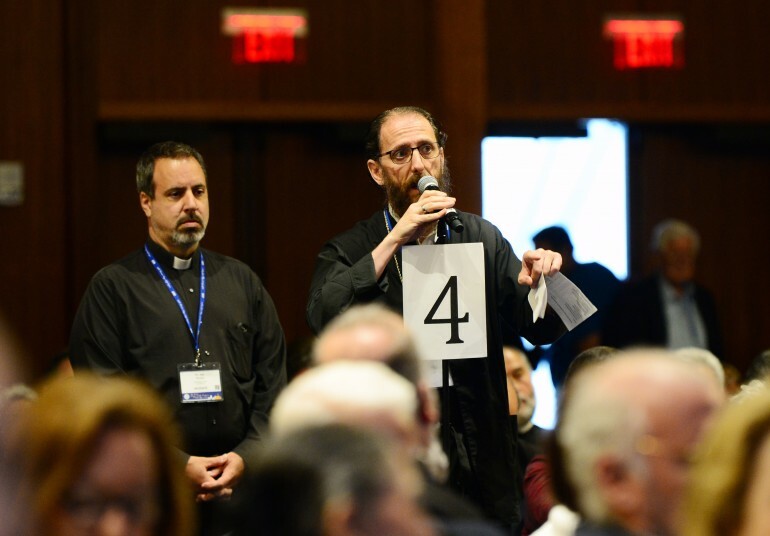 Metropolitan Savas of Pittsburgh suggested considering how funds that have been created to help the Archdiocese – like Leadership 100 and Faith – could be used for the Seminary, the Priests pension plan etc. You have made an excellent presentation and I thought you have convinced everybody. But it seems that wasn’t the case. Therefore, I announced today that I cannot have my name, or my family’s name, or my reputation, attached to the budget that is – at least – been discussed right now. 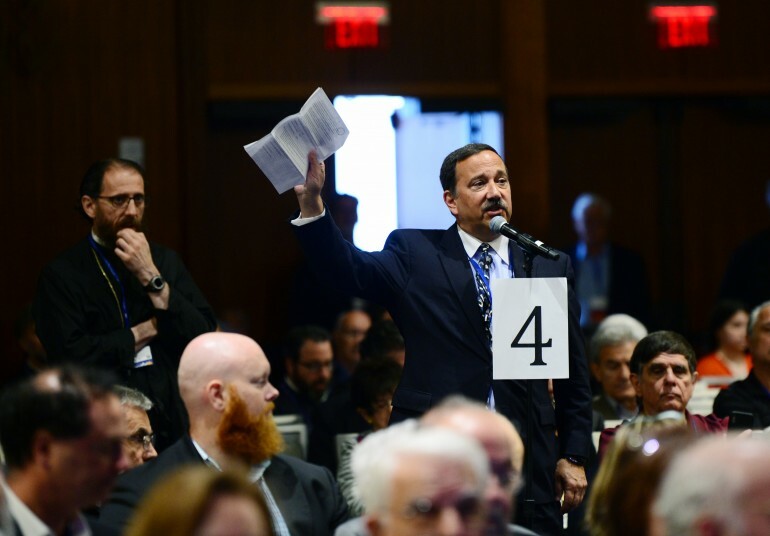 It’s up to this Clergy Laity tochange its mind after lunch and pass a budget that is balanced, or as I said, I can no longer serve. At the expiration of my term in October I am done. I will ask his Eminence if I could limit my involvement to fundraising for St Nicholas National Shrine. 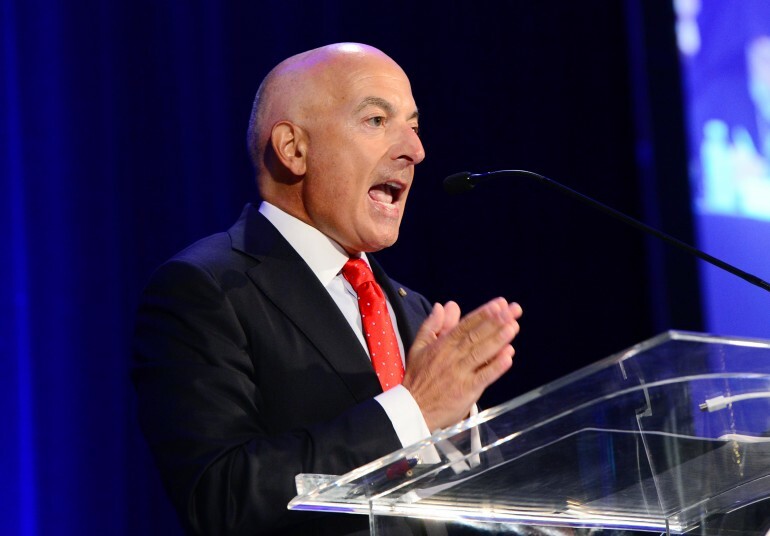 Dear Mr. Psaros, as former Director of Fiscal Affairs for NYCDOT, and someone who saved a company millions in Texas, you have my sympathy and support for what you accomplished, and in trying to manage the proclivity of many, to fall back on prior bad practices, hoping for more future man-made (Psaros) miracles. It would be nice, if they spent more of their time seeking ways to draw in the lay people who are ignored, showed sour/dour, unwelcome faces by the priests; bishops who seem to have forgotten the meaning, power, of AGAPI (Αγαπη). The Church should be expanding in these times, extending its services, to the many suffering, soul-searching lay people, seeking compassion, understanding, and a respite, from usury souless governments, and threats, attacks from non-Christian groups. We have a rich History in our Church, especially starting with Constantine the Great who founded Constantinople in the 4th Century, through the Synods, the Glorious Byzantine Empire, that when others saw the Beauty of the Greek Orthodox Services, adopted it for their countries. We have lost all that beauty, ignored use of beautiful, ethereal Byzantine Hymns, decreased use of incense, and we seem to apologize, or be embarrassed for being Christian. The world has grown, with use of the internet, more travel, there are more disturbed souls, suffering from unrest, bullying, perceived racial, sexual differences/indifferences, seeking answers, salvation, understanding that science cannot give them. We failed to spread our Agapi to these people, and even turned away our former loyal laity, with the Priests, Archdiocese’s, indifference. They are now reaping the rewards of this indifference, as the laypeople now show their indifference to the Church. 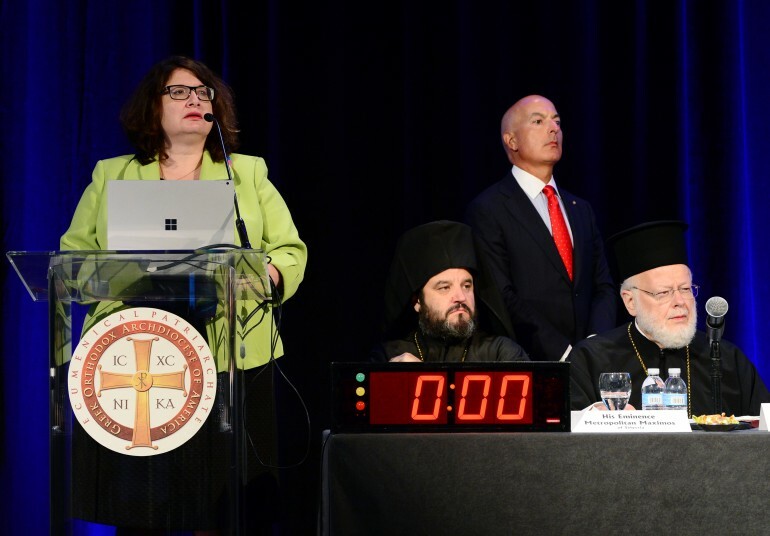 It’s a shame for the hard work and sacrifices that many Greeks, Greek Americans and former Archbishops made, to keep the Greek Orthodox Church Viable, Vibrant, Vigilant, Alive, Caring, Relevant, and all Welcoming. SHAME ON YOU ALL! Ντροπη Σας! 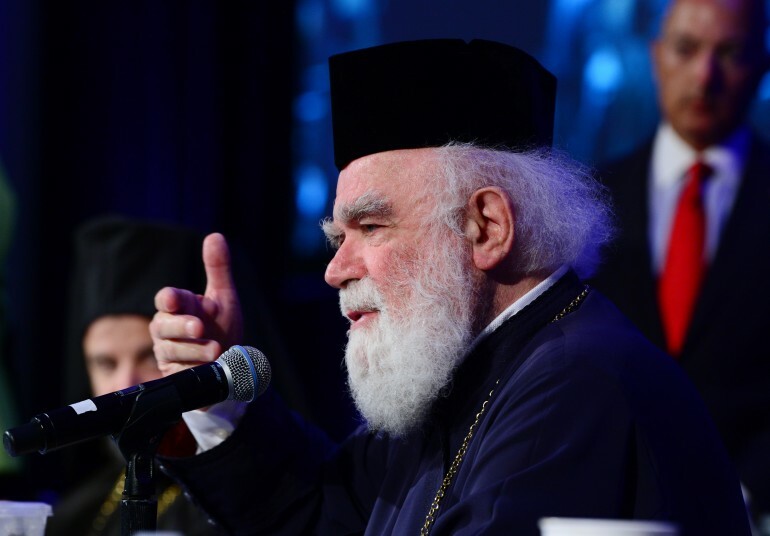 In a matter of 20 years, you have caused more destruction to the Greek Orthodox Church than even the Muslims were able to effect, in their almost 1500 years of attacks on our Church, against the Byzantine Empire, through today. Even after the fall of Constantinople, and up to WWII, Priests and Bishops, sacrificed their lives, being tortured, hanged, skewered alive, to keep the Greek Church, History, Language Alive. They formed hidden schools to accomplish this, and help bring order to a fledgling Greece, trying to recover after WWII. They also sacrificed their lives, offering Agapi and refuge to hundreds of thousands of Jews seeking to leave Germany, and hid many more in Greece, refusing to turn them over to the 3rd Reich. The Church’s main preoccupation, energy, Agapi, in the 21st Century, seems to be only reserved for themselves. 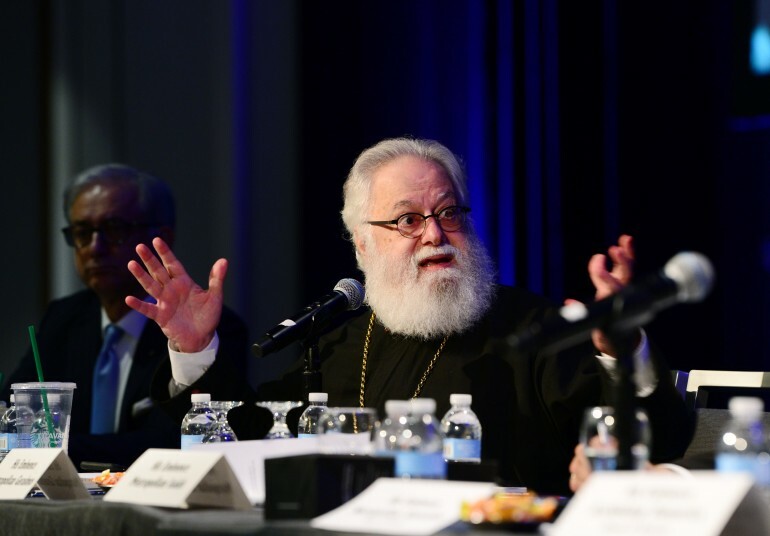 The US can and should be fertile soil for a growing Orthodox Church. A Church that is missionary and evangelical. A single, united, indigenous Church that is fully canonical and self governing. A Church that conforms to American principles of transparency and accountable governance. A Church that reaches out to the unchurched. Those who have left and those who are seeking the truths that are contained within its teachings. We Americans enjoy freedom of religion, as well as freedom of speech, freedom of conscience and freedom of assembly. We do not expect the government to support the Church (as in Greece and, now Russia) , nor do we fear that the government will control or suppress our freedom of worship (as In Turkey and other Muslim majority countries where Christians are being martyred. 1. Fourteen overlapping “ethnic jurisdictions” that violate the canons of the Church which forbid more than one bishop with jurisdiction over a given territory. 2. 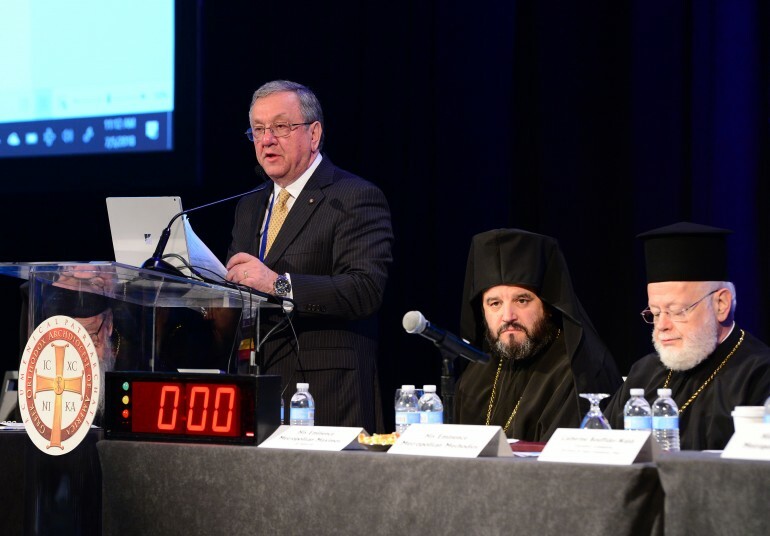 Dependence upon foreign Synods in Istanbul, Moscow, Belgrade, Budapest and Sofia to appoint Bishops serving in the US. 3. Prioritizing foreign language and culture education over religious education and outreach. 4. Failure to adopt and implement governance measures in the administration of the Church that insures transparency and accountability. 1. 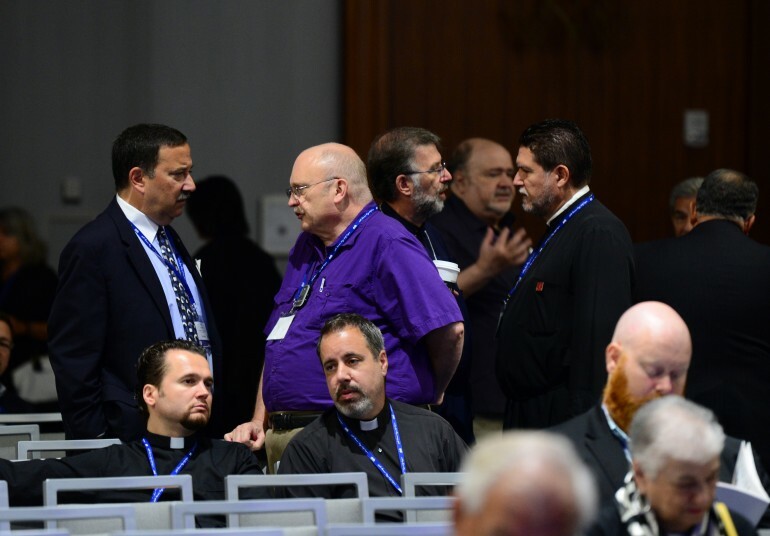 Uniting all Orthodox in the US under a single Synod of canonical bishops that elects its own presiding Bishop. 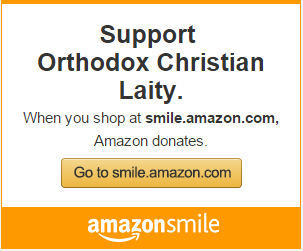 An Autocephalous “sister” Church taking its place alongside all of the other Autocephalous Orthodox Churches . 2. Adopting and implementing strict standards of governance that will ensure transparency and accountability. 3. Recognizing that English is the language of the people in the US and expanding the use of the language of the people in all services, while allowing immigrant communities to continue some use of foreign languages during transition periods. 4. 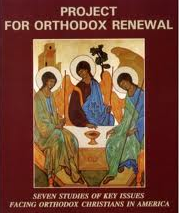 Prioritizing religious education over foreign language and culture education and restoring the missionary and evangelical nature of the Church which professes that it is “Catholic and Apostolic” responsive to the challenge of Pentecost to bring the Good News of Christ to all people.